Harassment and threats directed via Twitter to you or someone you know is not funny. 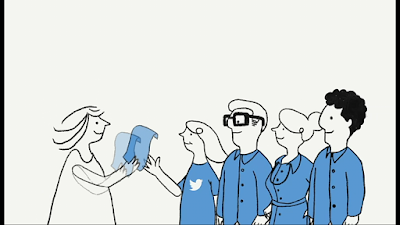 And because Twitter is committed to creating a safe place for people to share ideas and perspectives, they offer tools that empower you to stay safe on Twitter. Twitter have no tolerance for harassment or threats, so if someone is harassing or treating you or someone you know via Twitter, do not hesitate to tell Twitter about it by using the Report feature. When you make a report, Twitter safety team investigates the issue so that they can determine the right response to you report. Also remember that Twitter always remove tweets and or profile that violates Twitter Rules, and Twitter Rules have no tolerance for harassment and threats. So when you think of safety when using Twitter think of the Report feature of Twitter. A good thing about this (Report) feature of Twitter is that it is not meant for reporting threat or harassment directed to you only, if you have a follower on Twitter that is also undergoing the ugly experience to bring threaten or harassed via Twitter, you can help that follower file a Report to Twitter on their behalf from your own Twitter profile, and the case will still be treated with the same urgency.